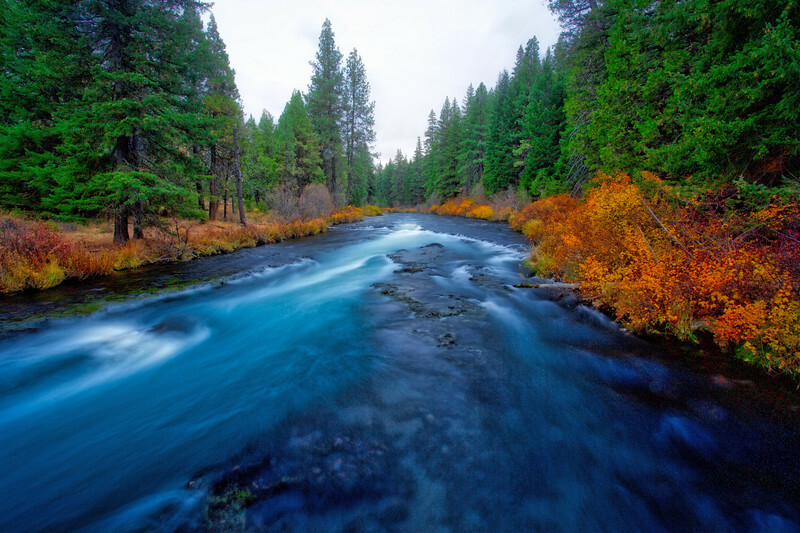 Welcome to some of the great rivers and streams in the Pacific Northwest. Each time I have come to her banks, each time I have been touched by her waters, she has lifted my life-spirit higher. The blue colored water flows swiftly through this deep channel of lava rock on the Metloius River. It is 29 miles long and popular for fly fishing. My goodness, this is a gorgeous image. I would LOVE to go fly fishing there. Gorgeous capture of the water and the lovely autumn foliage!